Don't miss your chance to own this sweet 2 bedroom home located on a huge double lot on the edge of town. It has been well loved by the owner for 58 years & constantly updated. Newer roof, ductless heatpump, vinyl insulated windows, vinyl siding, copper plumbing & more. The big open living room will hold a crowd & the kitchen/dining room is equally spacious! Utility porch/mudroom & a monster garage/carport for 3 cars/boats. 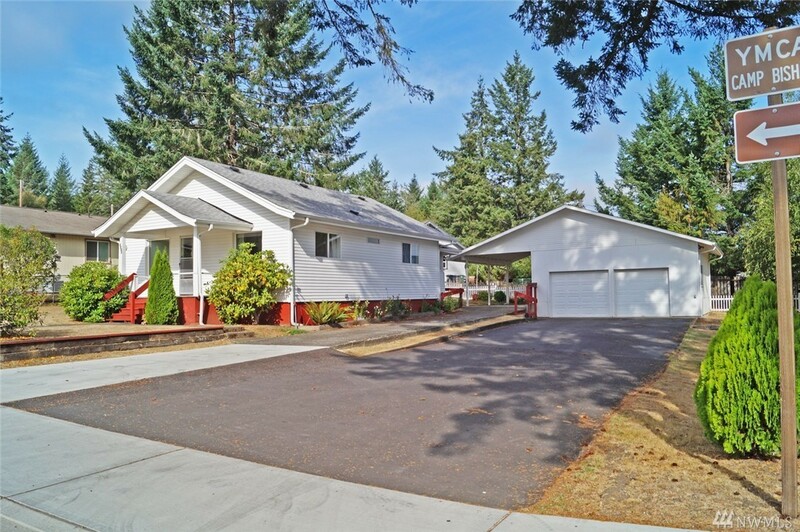 Easy commute to Olympia only minutes off of 101 and walk to school too!